SK-II Whitening Spots Specialist: Does It Really Work? What Is SK-II Whitening Spots Specialist: Ingredients, Side Effects, Detailed Review And More. What Is SK-II Whitening Spots Specialist? SK-II products are made from a patented base ingredient called Pitera, a formulation that was developed by the company after a group of SK-II scientists identified that there was something in the fermented sake that kept the hands of sake brewers exceptionally youthful despite their age and despite their wrinkled faces. Years after, Pitera was formulated consisting of vitamins, amino acids, organic acids, minerals, over 50 other micronutrients and the yeast that was responsible for the sake brewers’ youthful hands. To this day, SK-II Whitening Spots Specialist, and other SK-II products continue to be formulated with Pitera and, combining this with more recent complexes which the company has deveoped following changes in skincare science, youthful, radiant, spotless skin has now become more accessible to anybody who desires ageless skin. With SK-II Whitening Spots Specialist, SK-II promises to visibly lighten dark spots in just 4 weeks of continuous, nightly application. As, per the manufacturer claims, that when you do get to achieve one dimension, you fail in another. If you have finally achieved a smooth skin texture and fairer, more radiant skin complexion before but suddenly see a sun spot popping out of your cheeks, you know how it can feel like to be wearing an almost perfect skin. As, per the various claims made by the manufacturer of SK-II Whitening Spots Specialist works two ways: by brightening and lightening dark spots, and by inhibiting melanin production so as to stop new dark spots from manifesting on your skin. For $185(price may vary) for every 50 ml bottle, get rid of those pesky, unsightly dark spots that are ruining your otherwise blemish-free, bright complexioned skin, with SK-II Whitening Spots Specialist. This product is also available in single use ampoules. The product formulation is creamy and yet very much lightweight that it can be easily absorbed by your skin, which is good so that it can perform wonders on your dark spots much sooner. The manufacturers behind this product knows that dark spots are signs of damaged skin cells, hindering cells underneath your skin to regenerate and repair the damage. The tricky part is that, dark spots can occur on persistently dark areas of your skin or still remains hidden and invisible underneath. The beauty of SK-II Whitening Spots Specialist is that it tackles both the dark spots that are already visible and those that have yet to make itself known. Visible results become evident in as short as 4 weeks. With SK-II Whitening Spots Specialist, you will never have to endure dark spots ever again. 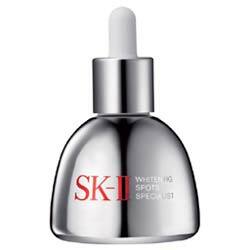 What Are The Ingredients In SK-II Whitening Spots Specialist? Butylene Glycol: It is beneficial ingredients to penetrate the skin, with the remainder sitting on the skin surface and doing little good for skin health. By increasing skin penetration, butylene glycol can boost the overall effectiveness of the product. But one of the likeliest side effects from this chemical is the potential for skin irritation. Pentylene Glycol: This ingredient is used in cosmetics and beauty products that is also secondarily used as a solvent and preservative. However, can cause skin irritation, dermatitis and hives from too many mast skin cells. Dimethicone: It provides a protective cover on skin that seals in moisture, leaving skin hydrated for longer. However, this coating property can also trap dirt, sebum and bacteria, resulting in skin irritation and clogged pores. Sodium Hyaluronate: This is salt that is potent in boosting skin moisture level while sealing the existing moisture, thus keeping the skin dewy, tight and flexible. Although, numbness and tingling feeling over the skin can be observed. How To Apply Sk-Ii Whitening Spots Specialist? According to the manufacturer of the product, after cleansing and toning, and before putting on your night cream or serum, apply SK-II Whitening Spots Specialist directly on your age spots. Do this regularly for the next four weeks before visible results can become evident. Continue long after to lighten spots even more. 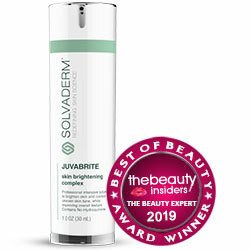 Brightens and lightens your dark spots to give you an overall spotless complexion. 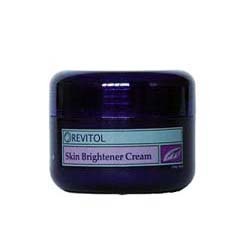 Inhibits the formation of new dark spots. User claims for skin numbness! This product also leads to clogging of pores! Product also leads to skin irritation! What are the side effects of SK-II Whitening Spots Specialist? Product contains parabens which have the ability to disrupt normal bodily processes and functions. Product contains PEGs which are highly prone to contamination with toxic synthetics and carcinogenic chemicals. The science behind SK-II Whitening Spots Specialist seems sound, and though the product formulation may benefit from a facelift, it can still serve your purpose — that’s if you have $185 to spend on a spot corrector. As, per the various claims made Skin Brighteners aid in reducing post-inflammatory hyperpigmentation revealing even skin tone. Skin brighteners also can help revitalize tired and dull skin resulting in a youthful, healthy glow.